Safety skirt with pockets included for round 4.60 m in diameter garden trampolines. 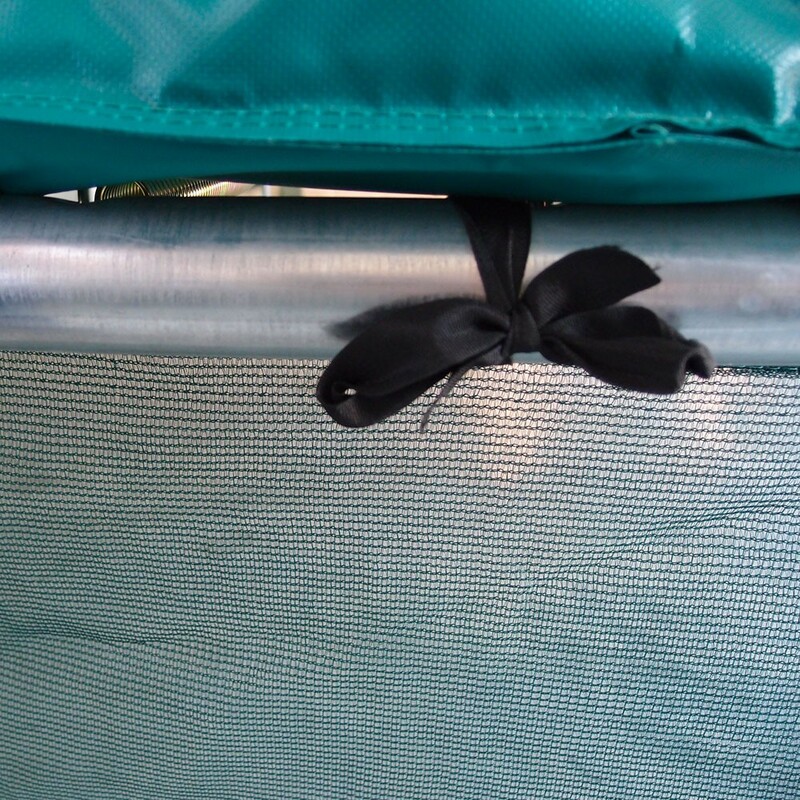 This safety skirt will allow you to regulate access under the trampoline. Thanks to this accessory, you will easily be able to prevent access beneath your trampoline, in order to eliminate the risk of your children and pets hiding there and getting hurt. The jumping pad, due to its flexibility, nears the ground when someone is jumping on it: it is therefore safer to prevent any access. 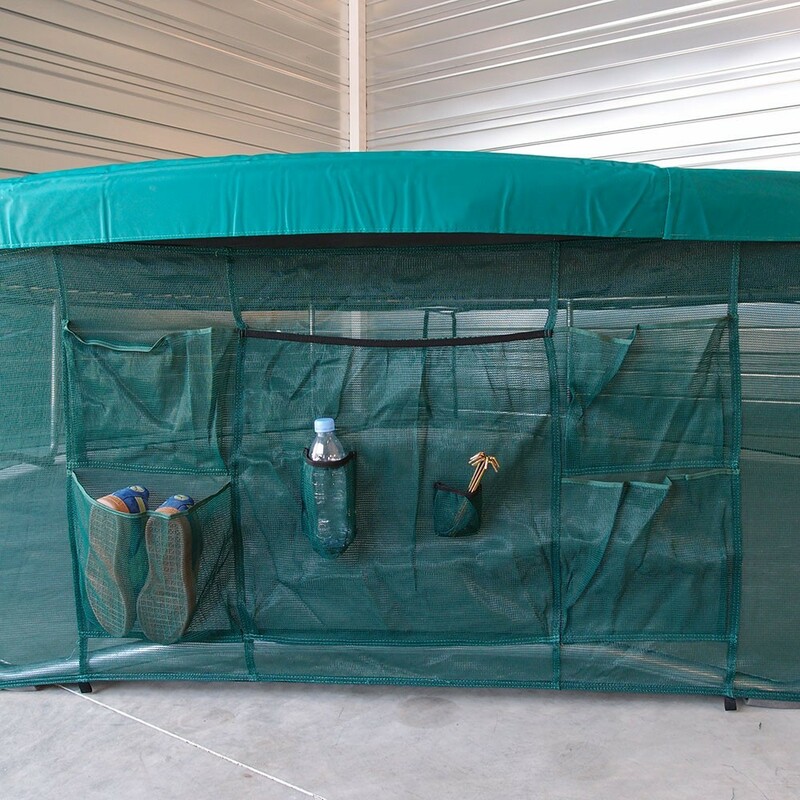 - The fine netting it is made of, has been designed so that you can see through it, therefore easily checking that no one is under the jumping pad before someone uses the trampoline. The safety skirt, prevents access and therefore allows you to eliminate any risks and make your trampolining sessions safe. - This accessory is also equipped with a large shoe bag which has 5 pockets. You will therefore be able to gather all of your loose objects in the same place. 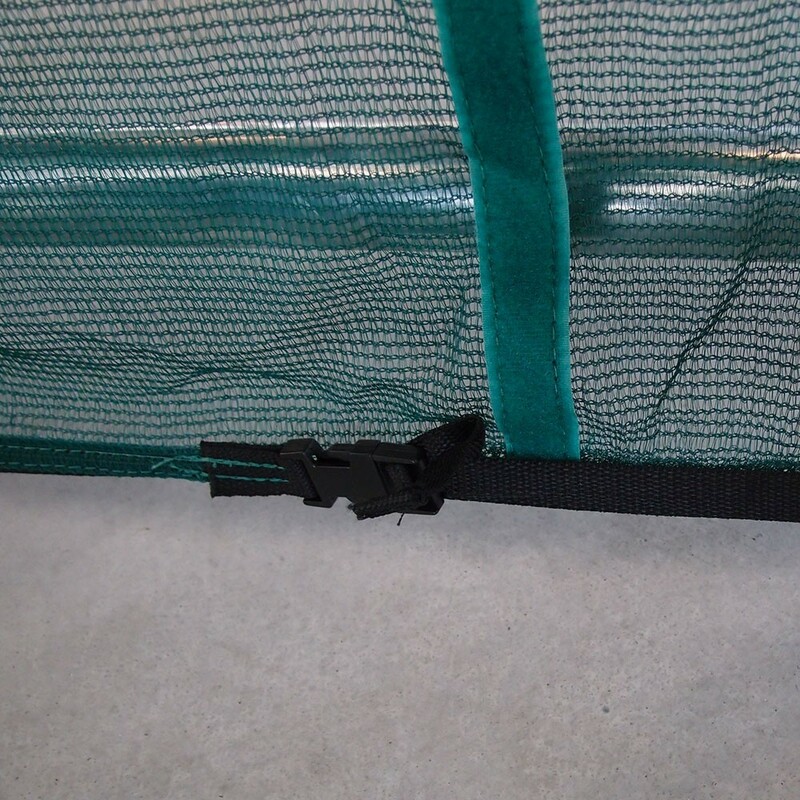 This shoe bag has been stitched to the safety skirt and allows you to tidy away shoes, jumpers, telephones and other trampoline accessories, allowing everyone to pick up their belongings after an intense trampolining session. - The green colour blends perfectly into the garden. - It is very simple to install the safety skirt. It is fixed to the framework of the trampoline. Then you need to use metal pegs to fix it to the ground, bringing more strength to the structure. France Trampoline’s protective skirt is adapted to all round trampolines with a diameter of 4.60 m.